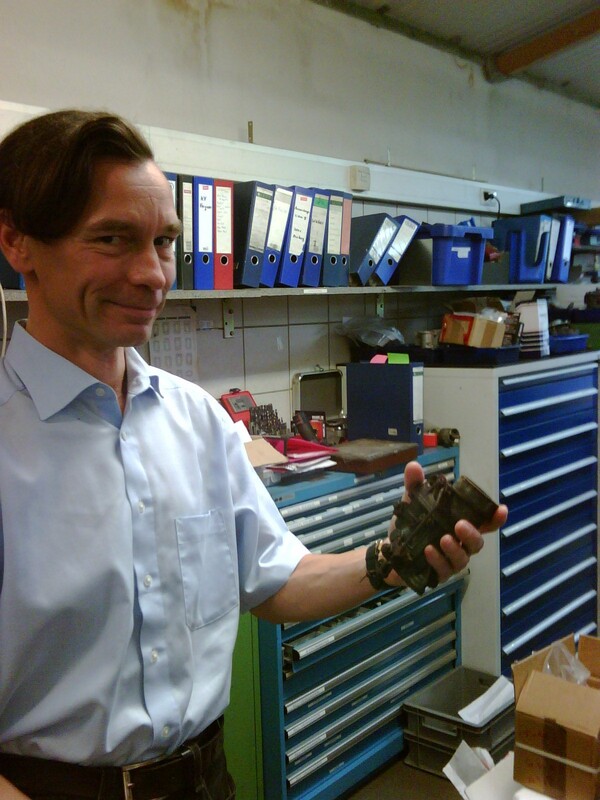 when disassembling the engine I found some parts not original for 1951 as the manifold and the aircleaner (very normal! Which engine still had the T-aircleaner when the –technically- so much better oil-aircleaner was available? ), other parts are surprisingly very correct, for example the generator and the D-regulator (I will feature these next week) and the carburetor which we will have a close look on today. 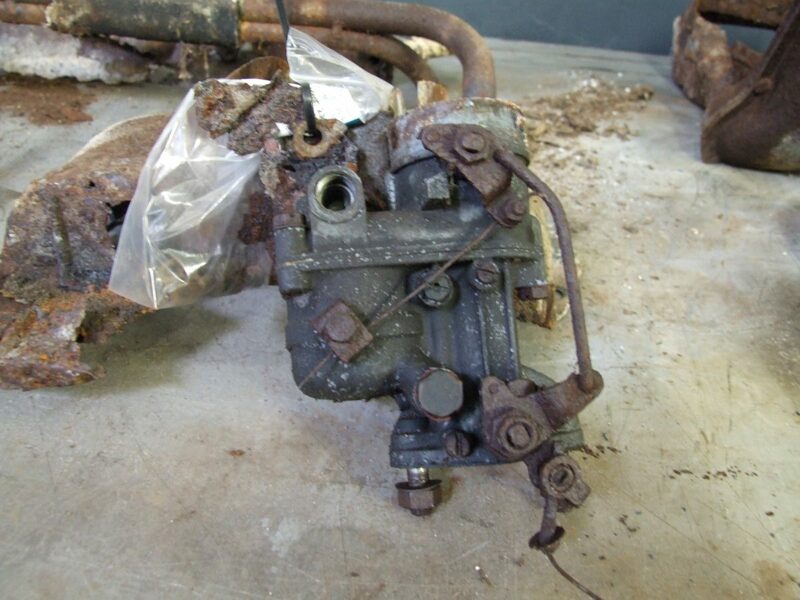 The carb is still the Solex 26 VFIS and it got the correct 8mm connection for the fuel line. So far, so good, but the rotten outer surface did not make me hope that it will be an easy job to rebuild it or maybe it is beyond being repairable at all. 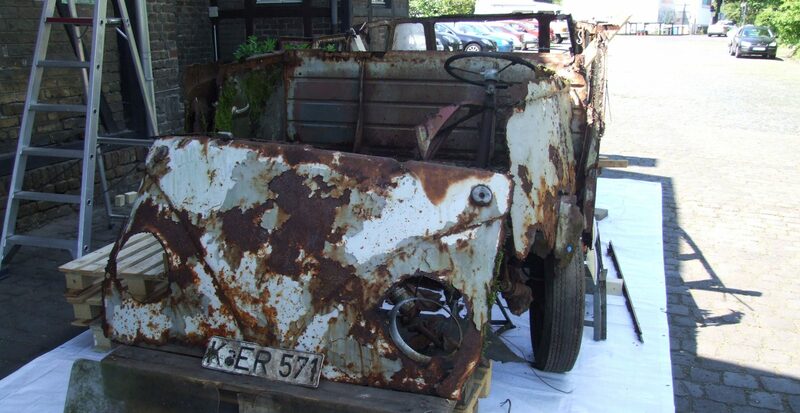 But it´s worth a try, just because it is one of the few original pieces of the Samba still existing. When it comes to complicated matters regarding anything related to Solex carbs there is one place in the world to go: Annette Hue´s IOZ-workshop in Koblenz / Germany. Luckily Koblenz is just a 45 minute drive from Bonn and it is beautiful ride always along the Rhine with all its castles and wine yards left and right beside the river. 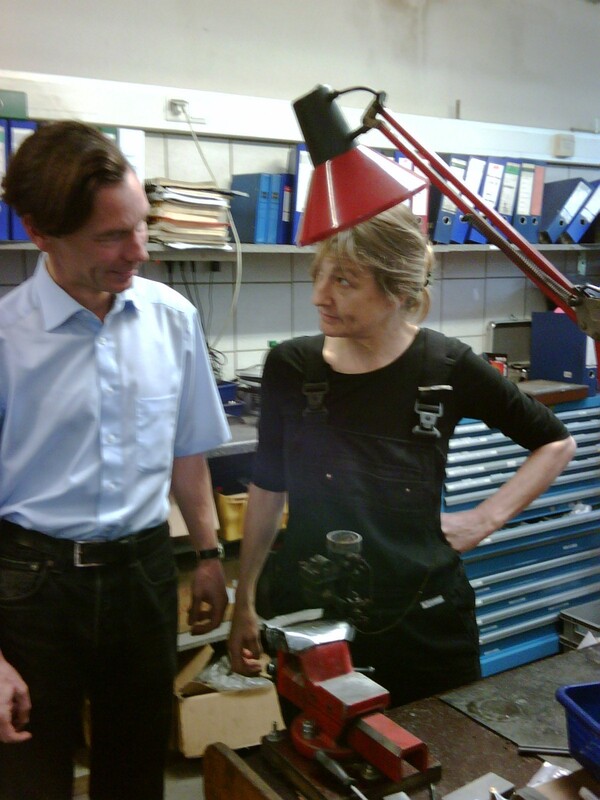 As Annette is the best address for Solex carbs I found her workshop in the normal state: crowded over and over full up with customer´s cars: from basic models as Opel Kadett up to Porsche 911 or Mercedes S-class, everything was there waiting in line for her magic hands. You think about going there too with your car? Be aware that you need to set an appointment now for a date 8 months later! Annette and me got something in common: we don´t like Facebook, Twitter & Co., neither she got time for browsing the net every day, so no wonder she didn´t know about the Samba and what the story is all about. So I had to explain her that I really want this certain carb for rebuilding, no matter what effort it may cost. “Hmmmm, well, I doubt that even one of these screws will turn without braking.” she said. Will the screws turn without braking? Yes, they will, but can we open the carb? But surprisingly all screws turned without any problem (I applied a lot of rust dissolver to it a week before!) 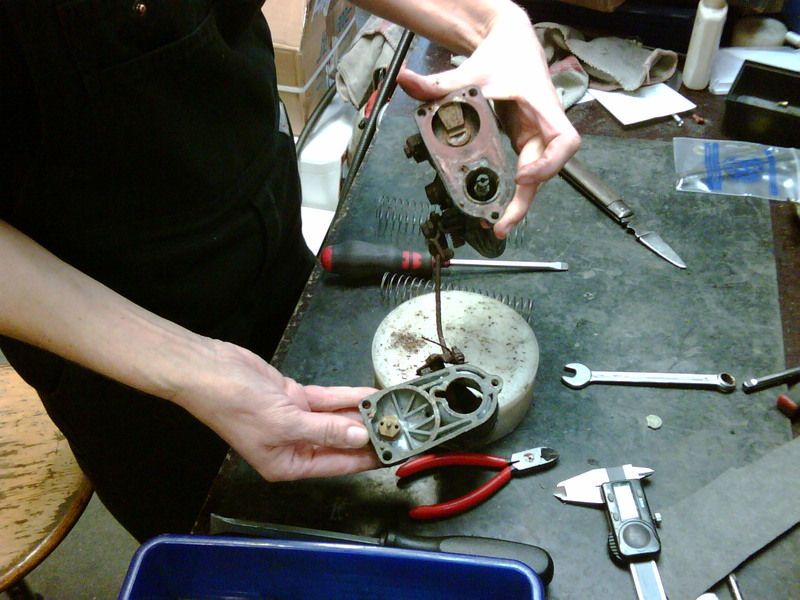 and we found the inner of the carb in quite good condition after removing the upper part. Surprise! Look how nice and almost clean the carb is! I showed her some pictures of the Samba and so she got the answer.